#003 features a clean and simple aesthetic coupled with our "Afterburner Grey" paint scheme. #003 was directly built through our executive team to showcase a cleanly ordered Launch Edition package. This truck features a unique configuration of factory options that we feel display a minimalist philosophy to the LE. This is the first "factory direct" unit to be offered directly to the general public by MSA. Become a part of the MSA family with this unique offering. This truck was designed and built by the founding MSA team. We focused on creating the most clean example of a Launch Edition package yet. 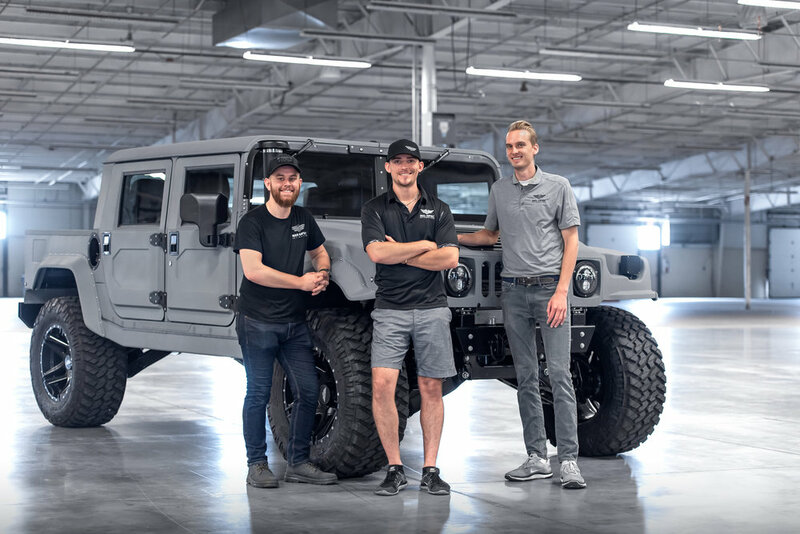 This truck represents the Mil-Spec Automotive brand philosophy through a simple and modern execution on the H1 platform. Thank you, a team member will be in contact immediately.